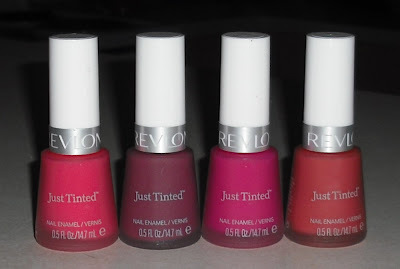 Over the past few weeks I've seen glimpses of Revlon Just Tinted collection in display pictures on a few blogs. I was intrigued, but in the back of mind I thought these might be so sheer they wouldn't be worth it. I was wrong. Thanks to Nails Beautiqued post on of the colors, my mind was changed. These are jellies/sorbets, and really nice ones I must say. 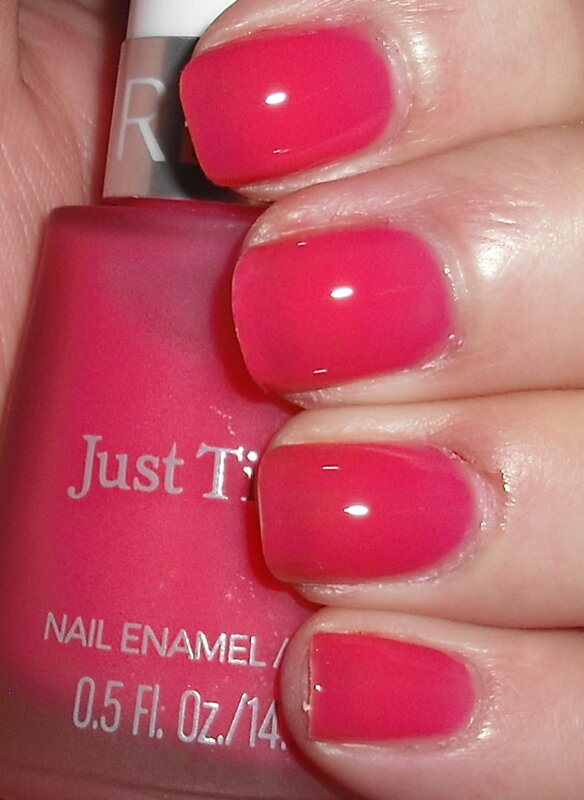 Victorian is a bubble gum pink jelly. 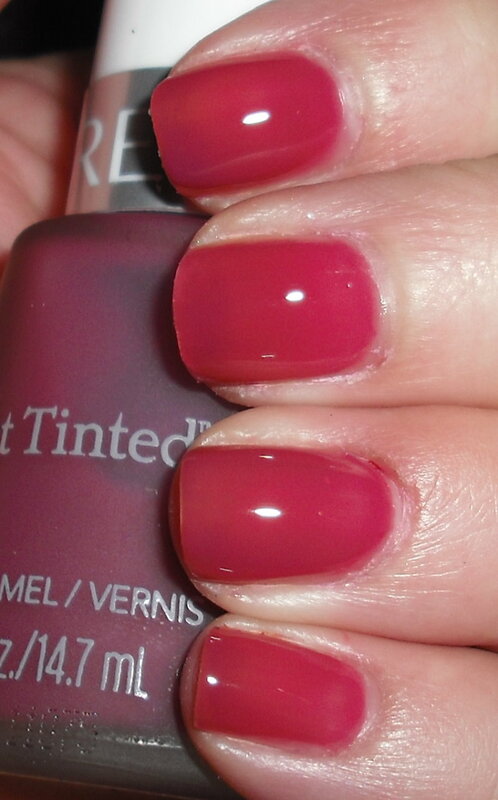 Mystical is a plum/berry jelly. 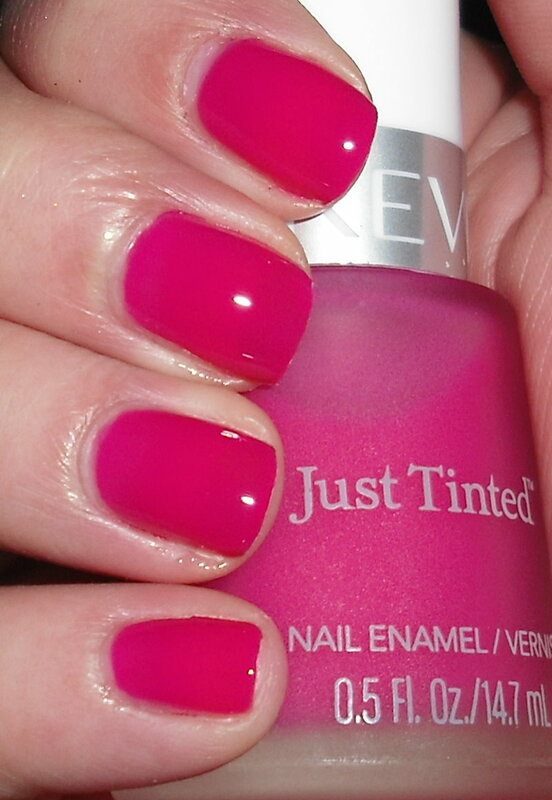 Desire is a bright magenta jelly. Dawn is muted peachy-coral jelly. These were all 3 coats with top coat. These dry semi-matte, so if you like the shiny look you definitely need top coat. If you didn't get your hands on the OPI Texas sorbets, these would be an excellent alternative. These shades are all flattering. If you were unsure about these, don't count them out especially if you're a jelly fan! These are so much prettier than I originally thought! I love Desire. I picked up Victorian and Desire at Walgreens yesterday. Buy 1 Get 1 50% off. Awesome deal! I wasn't sure about the jelly/sorbet, but I really like them. 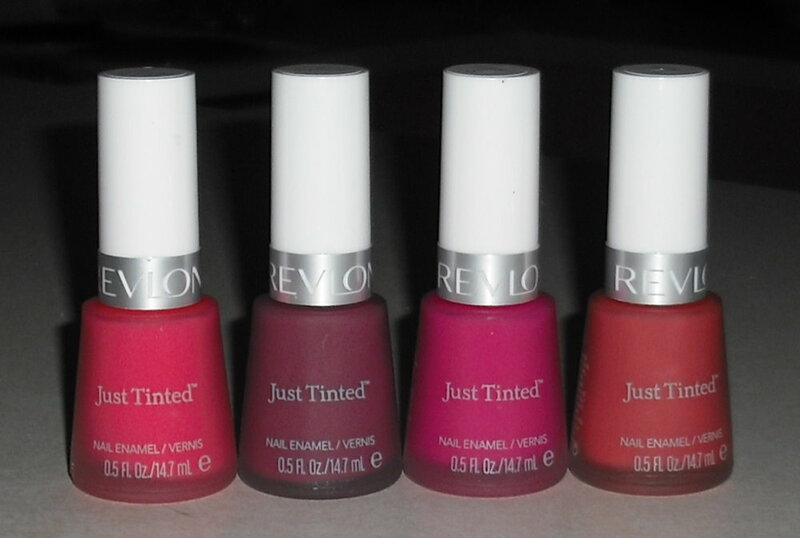 I'm holding out hope that Revlon comes out with them in a rainbow of colors. thanks for the swatches! I wasn't too intriqued by them before either..but looking at them now..so pretty! awesome swatches! I am so going to be looking out for these. Beautiful jellies ! I love them ! What a pleasant surprise! Not sheer at all and quite pretty. These are so nice! I love jellies! 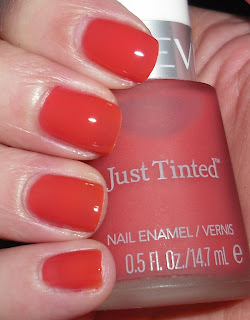 I love this -- I've been looking for something just like these, kinda sheer but pigmented. Do you know if they're only available at Walgreens? I have not seen them here in Hawaii yet, but I rarely go to Walgreens. Victorian and Desire are SO FREAKING PRETTY! Thanks for this post, I'd heard nothing but bad things about them! I may have to check it out now! Oh, cool! I was so curious on how these polishes would look, I like the jelly finishes! Me too one of my favorite finishes! I hope they show up there soon. I was worried about the same thing, I'm glad they're not stains! Really, bad things? I wonder what people were saying? I don't think these are exclusive to Walgreens, I'm not 100% sure though. In my area I just know Walgreens tends to get newer collections first vs. other drugstores. It was a good surprise! I hope you get them too. I hope you find them! I'd love for them to come out with me more colors too! 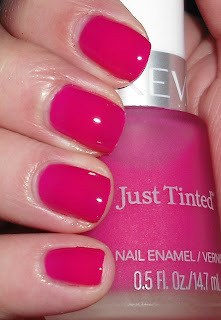 These look so much prettier on the hand than in the bottle...and you got them for a steal! these are also $2.39 at rite aid. I went and got all of them today except mystical.